The wait is over – Rudy and Conor are going to Rio. USATF officially announced at 1:30PM ET on Thursday that the IAAF has extended invitations to Rudy Winkler and Conor McCullough to compete at the 2016 Summer Olympic Games in Rio de Janeiro, Brazil. Winkler and McCullough will be joined by 2012 Olympic hammer finalist Kibwe Johnson. Winkler’s and Johnson’s invitations were previously announced on Wednesday through local media outlets and social media, while McCullough was not confirmed until USATF’s press release. 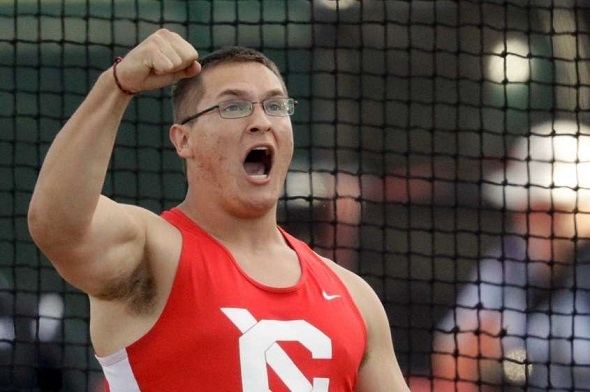 Winkler won the USA Olympic Trials last week with a mark of 76.75m, 25 centimeters shy of the Olympic standard, while McCullough finished third. McCullough also had not met the Olympic standard prior to the Trials. However, there aren’t enough athletes around the world who met the hammer standard so the IAAF offered invitations based on the world descending order list. This entry was posted on Wednesday, July 13th, 2016 at 8:54 pm. It is filed under Olympics, Spotlight. You can follow any responses to this entry through the RSS 2.0 feed.